Clean inside and out, gently used with minimal wear/marks. 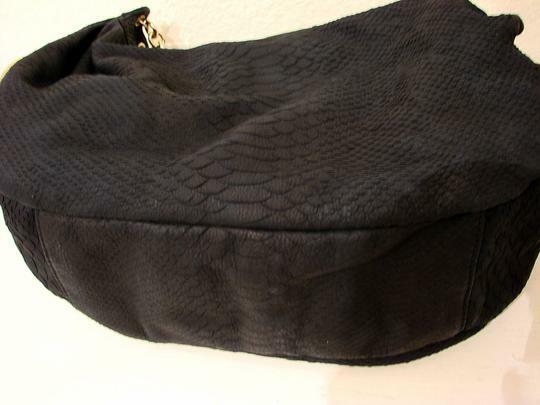 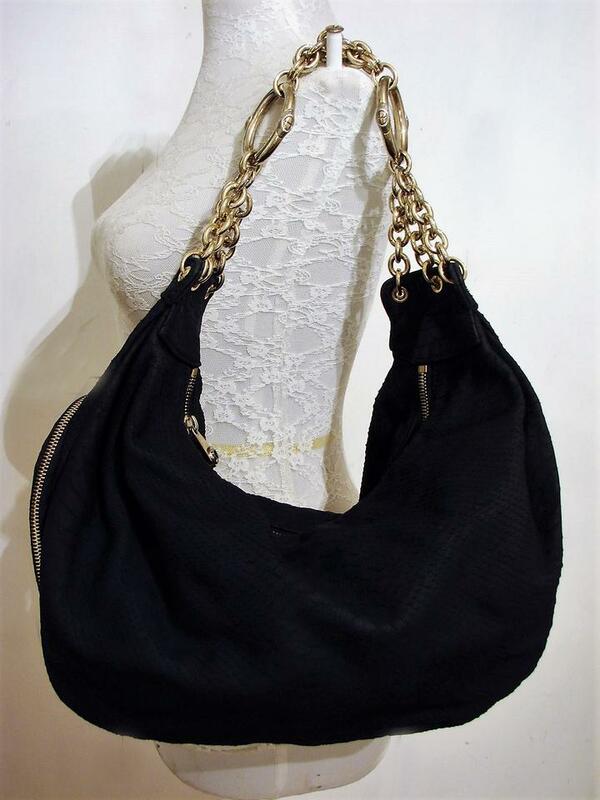 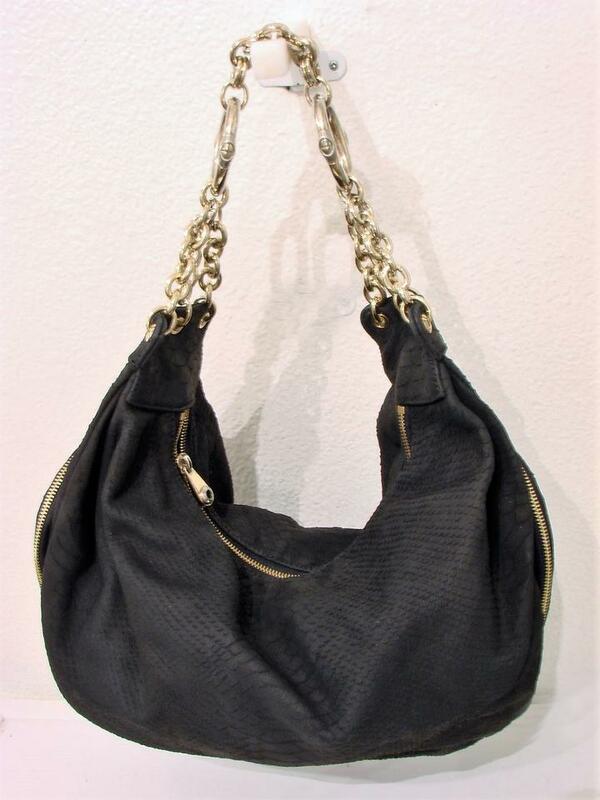 Henri Bendel hobo bag is in beautiful condition, minimally used, clean inside and out and comes with the dust bag. 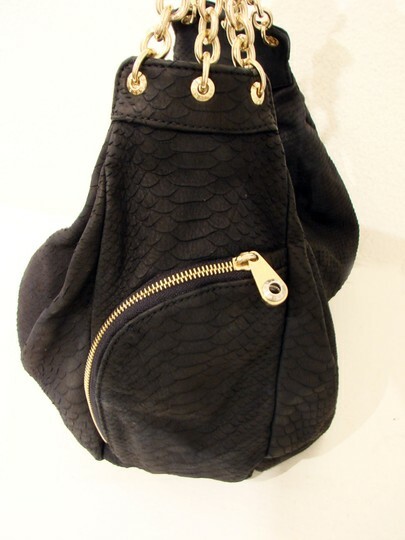 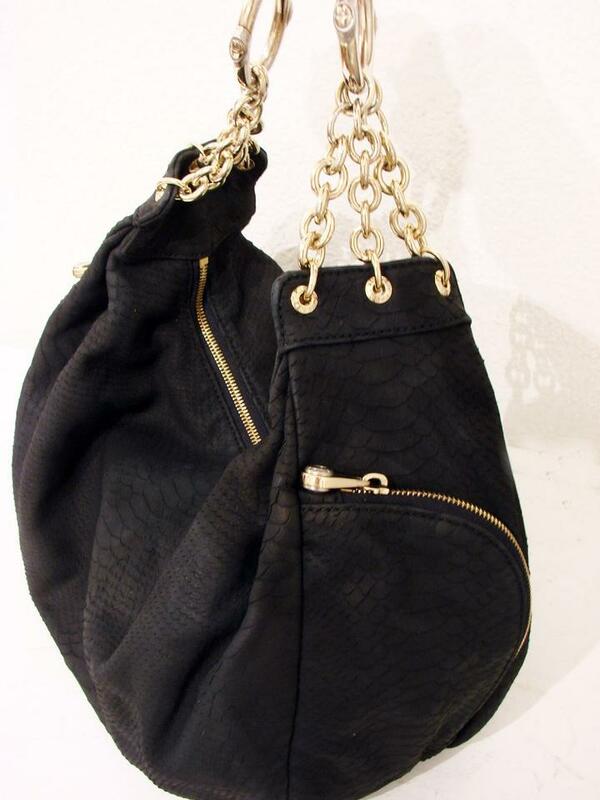 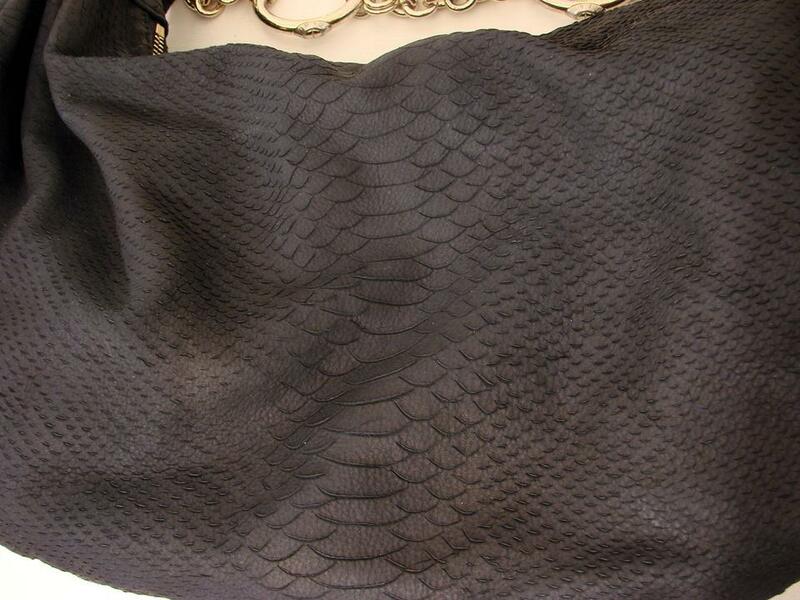 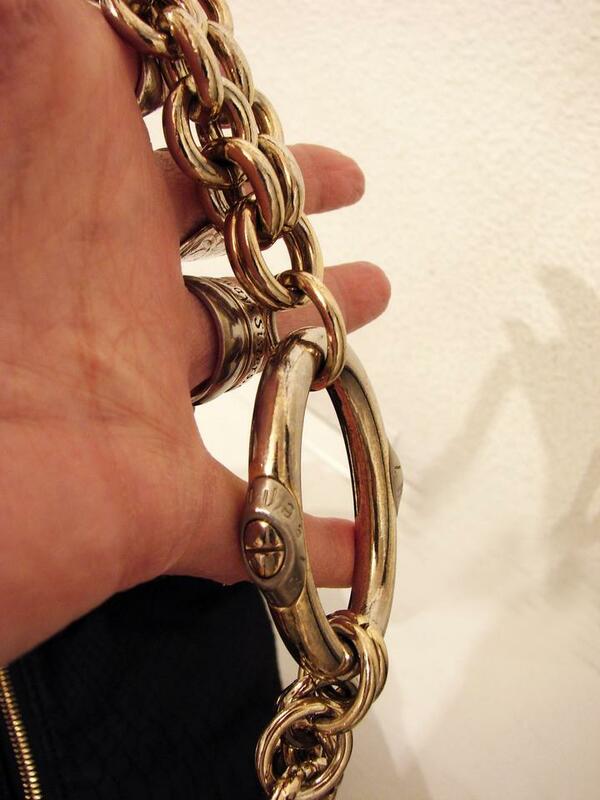 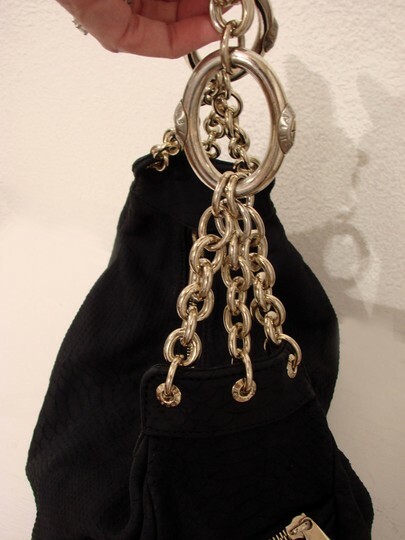 Gorgeous snake/lizard embossed leather is done in a matte finish with heavy gold chain shoulder strap with oversized "O" rings with the Henri Bendel name. 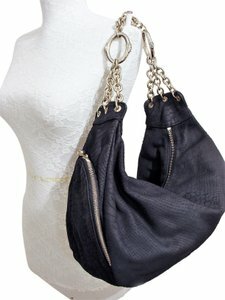 Unique zippers on each side of the bag, ideal for stashing important and easy to reach essentials. 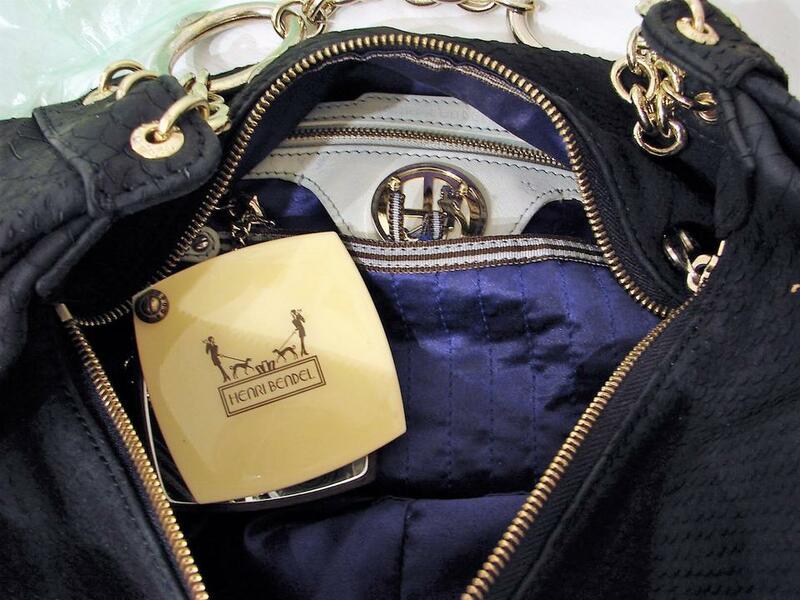 Top zip closure, inside is lined in purple satin with Henri Bendel sliding case mirror that slips easily into the slot, out of the way, easy to reach for a quick touch up. 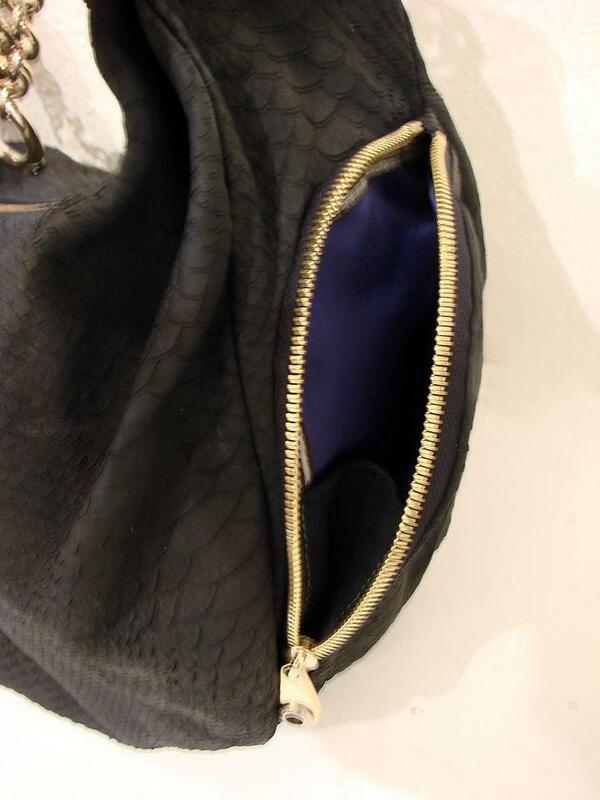 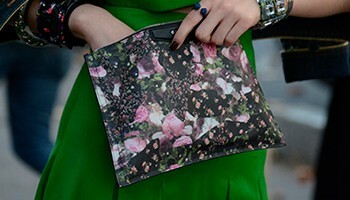 There is also one zip compartment. Measures approximately 14" x 8" x 5" with the strap having a drop of about 9" (bag slouches beautifully).